How long until I can tell a difference? Usually inside a week you will feel a shift. Some have called me the next day to tell me they feel much better. Others have come to their next appointment saying they have not experienced any change (although after a few questions they admit that many of their minor complaints have disappeared). Even if your main complaint is not resolved, often more recent or less problematic symptoms disappear first. Your intelligent body “hand picked” what it wanted based on your concerns. A healthy body resolves its own problems miraculously in its own time…a few days, a few weeks, a few months. The longer a problem has existed, the longer it takes to resolve. If enzyme-disrupting and/or hormone-disrupting drugs are being taken, it takes longer still, and may not be resolvable if caused by drugs. So do your homework. Also if overwhelming stress is ever-present, it will take longer to get well. the intelligent body. 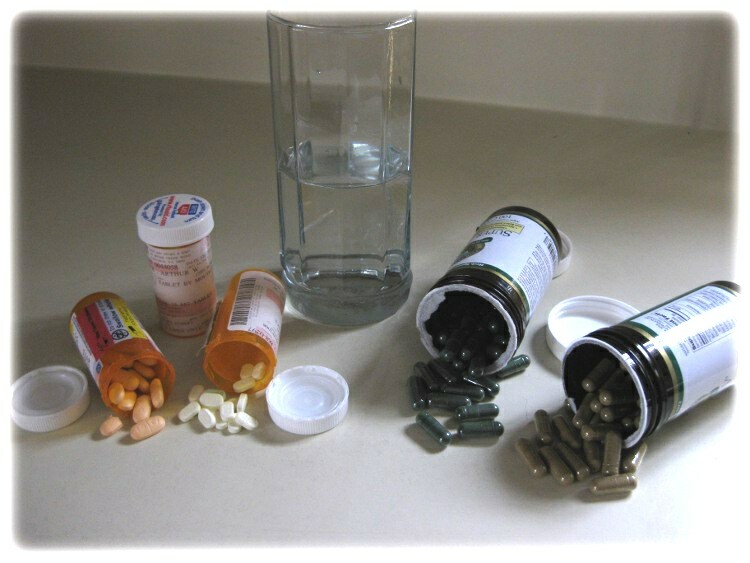 The supplements your body picked out contain copious amounts of necessary micronutrients to accomplish its work. Sometimes that work is not pleasant and we have to remember that getting better and feeling better are not always the same. Sometimes this means addressing an old problem that your body shelved because it didn’t have the resources to resolve it. Often, after a period of relative good health from being on an herbal program, an old set of symptoms will arise. Here is a principle to remember: Suppressed symptoms will re-arise. If the body didn’t heal itself, it isn’t healed. This is sometimes called a healing crisis or correction and it usually subsides within 4 days. Sometimes only one afternoon will suffice. 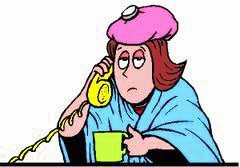 During this time you may feel flu-ish, headache-y, develop a rash or encounter some type of inflammation or fever. Don’t take any suppressants. Just give your body good fluids and put it to bed (no heavy foods) and give it opportunity to do its work. Know that once it’s done, you’re healed. If you don’t have this experience, it doesn’t mean the herbs aren’t working. If you feel this is happening to you and your symptoms worry you, stop taking your supplements for 2 days, then reintroduce them at 1 at a time at 1/3 the dosage. You can slowly increase the dosage or stay on this lowered dosage until you return. Am I supposed to take all these pills? Yes. But if you empty them into a tablespoon they won’t even fill it. Herbs are strong foods so less is needed BUT they are less palatable outside the capsule. And to keep your cost down, I try to limit the number of herbal supplements that I recommend to four at the most while addressing the most important issues. This depends on the severity of the health concerns and the blends of formulas that I have. Often symptoms arise from a long-standing nutrient deficiency. Remember, herbs are big deposits in your ailing health account. Once supplied in sufficient amounts, you will either no longer need the supplement (which is sometimes the case) or you can work your way down to a reduced or maintenance amount. This means taking one capsule 2-3X per week. The herbs that you tested for are specific to your current health challenges. My job is to find which of the 400+ supplements will take you a step closer to better health. Your job is (1) to learn what these supplements do for you as you take them and, (2) to learn how to take them, that is, how much you need to get the desired benefit. You may need to take the ones you tested for at your first appointment again in about a year, or according to some schedule to avoid slipping into the ditch of degenerative or ‘genetic’ diseases. Each time you come we will try to move you closer to health and improved quality of life. Often people test for the same herbs several times at intervals of a few months. It is wise to have these herbs on your ‘medicine’ shelf. And most of your supplements you can order. What about the supplements I am already taking? What about the medication I’m taking? Modern laboratory-made medicines OR traditional nature-made medicines. question. Often people come wanting to avoid going on a medication, or, to get off of their medication because of its bothersome side affects. (JAMA reported that adverse drug reactions are the 5th leading cause of death in the US.) The schedule for taking or eliminating your prescription drugs can come from the doctor who prescribed them for you. If you are getting relief from your original symptoms using herbs, you can talk to your doctor about a trial period of reduced dosage on your medication. He will be able to monitor your progress. As far as the herbs having a reaction with the drugs, this is rare because herbs are foods – strong foods. If you suspect that an herb is causing a problem, stop the herb and call me. What if I want refills of the supplements that were recommended for me? I wish you could get all the herbs yourself. Unfortunately some companies only sell to licensed practitioners or will sell to you at almost double the price. However, you will be able to order any supplements from Nature’s Sunshine Products (NSP) and get the same price I do. I use mostly NSP’s herbs because I have been getting consistently good results with them. One capsule of an NSP product is equal to several capsules of other brands. There are many reasons for you to order your own supplements from NSP: 1) You get the freshest herbs because they come right to your door, 2) it can save you about 15% on the cost, plus you get a 20% off coupon with your first order plus you get an additional 8-10% rebate if you order more than $100 in a calendar month, 3) you can stock up on what you and your family need rather depend on me. If you want to order the NSP herbs yourself you can do it on my website or, call 1-800-453-1422. Tell them you want to order herbs and set up your own account ( NSP is a member company so you’ll need a sponsor number 10908) and order at least $40 worth of herbs at member cost. The stock numbers are on the bottle and you’ll need a credit/debit card to do this. You’ll get your own account number, a coupon and your herbs will come in 3 business days. This is the only time NSP has a minimum order and you don’t need to order every month. How long will I have to keep coming back? Many people resolve the majority of their health concerns within three or four visits. (Exceptions are those with longstanding degenerative diseases/stresses and/or those who are on lots of pharmaceuticals.) You have the option when to schedule a checkup. Some with serious diagnoses continue to come back for monthly visits so we can adjust their program to keep them in remission. After major symptoms have resolved you can come to open clinic. IF you are under continual stress, however, you will likely need to continue to take herbs to repair the continual tissue damage. How do I learn more about natural alternatives? I’ve written much on my website. I also have DVDs (that were taped at some of my classes) in which I try to condense some of my education. If you want to learn, I will be happy to help you. Just ask to borrow the DVDs. Check out time is two weeks. I also have books on herbs and natural remedies that I will lend to responsible people. It is very satisfying to learn what is needed to maintain your own good health and that of your family. Can I give your name to my friend? I would ask that you screen your friend first to determine if THEY want to get well using natural means. Then send them to my website www.PatBlockND.com. Sometimes we feel sorry for people, or want to ‘fix’ them, but if they are not interested in putting forth the effort or $$$ to get themselves well for various reasons it wastes my time and theirs. If there is no commitment, there is no healing. And please DO NOT contact me on their behalf. Have them call for their own appointment. Also tell them what I do at the appointment. I can also refer them to someone that I’ve trained if they would like to see someone sooner. All you need to know is on this post. Look forward to working with you. Just letting you know that the Liver Balance & Nervous Fatigue formula is working. No more hot flashes and the leg cramps stopped. Is there any other supplements I should be taking for my bones since I will be 60 in February. and what about collagen for my skin?